Our awesome sellers never seem to disappoint. 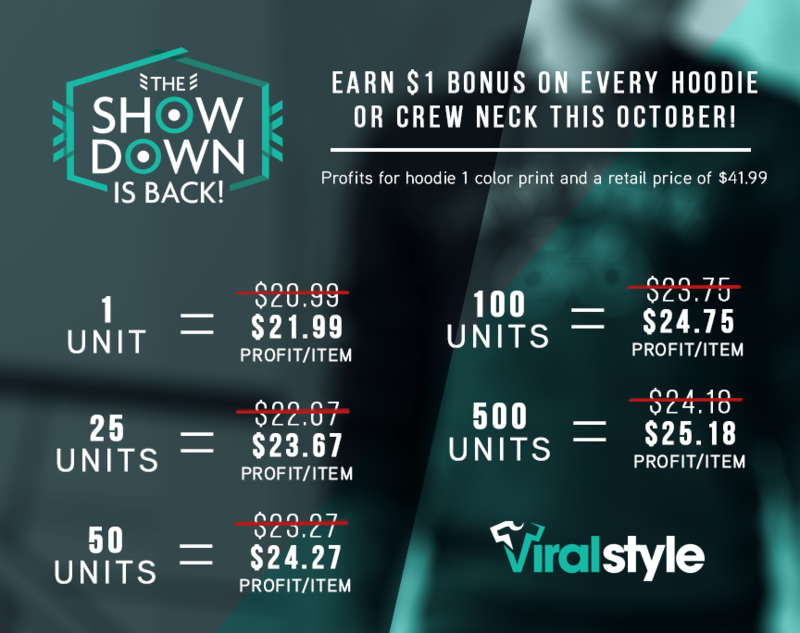 For September’s contest we challenged you to sell as many hoodies as you could by giving out a $1 bonus for every sale. You were so successful that we’re continuing the same contest and making the deal even better by including our popular crew neck sweatshirts. If you have sold hoodies or crew necks in the past you already know that they’re insanely popular items with great profit margins. Crew neck sweatshirts gain even more popularity around this time of year as they are a popular choice for fall and winter themed designs. Once again this month, the seller with the most hoodies and crew neck sweatshirts sold will have their bonus doubled. Do you have what it takes? 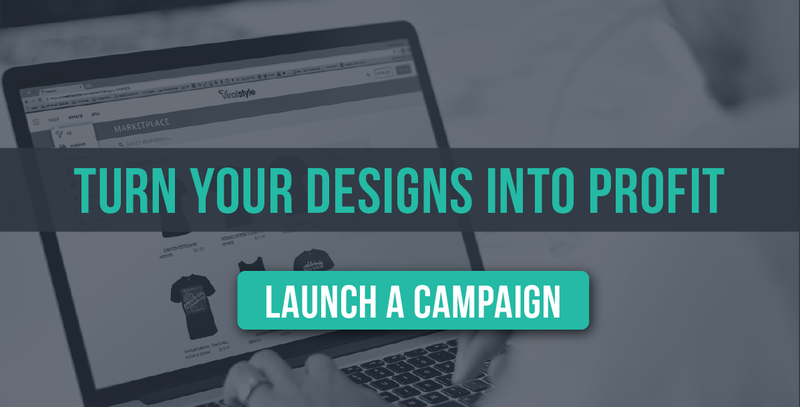 See if you are the best hoodie or crew neck seller on Viralstyle!